Ossia’s Cota Tile is a wireless power transmitter disguised as a drop ceiling tile. In 2017, the technology won the CES Innovation Award for Best of Innovation. Now, the technology consumes less electricity and delivers more power to devices than ever before. Across an entire building, like a factory or hospital when used in tandem with other Cota Tiles. What’s more, Cota wireless power is inherently safe and does not interfere with other wireless technologies. Cota Tiles can be built right into a new building or retrofitted into an old one, and are easily managed and secured over the Cota Cloud. 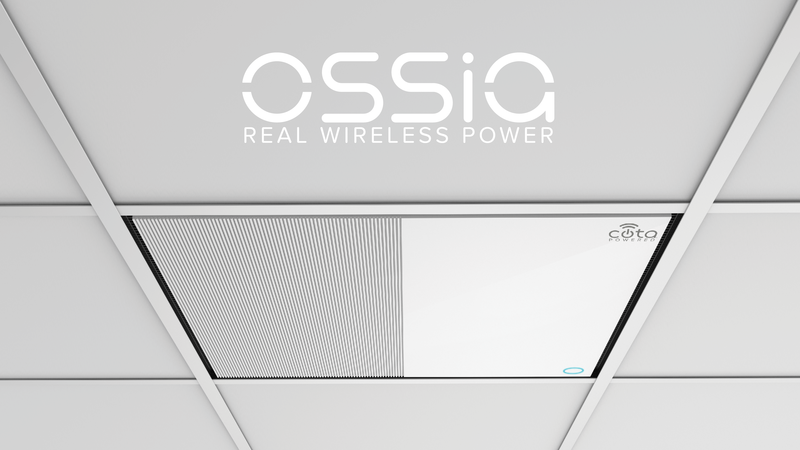 Ossia’s commercially available chipset for real wireless power gives manufacturers everything they need to build their own Next-Gen Cota Tiles. The Cota Chipset features custom application-specific integrated circuits (ASICs) rather than off-the-shelf chips. The technology is available for license from Ossia today. 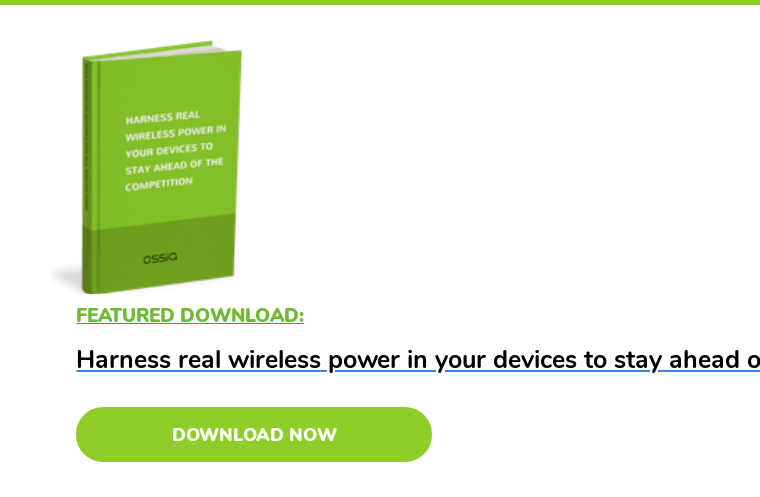 One of Ossia’s promises to our partners and licensees is to always be improving on our wireless power technology and inventing new and better solutions. This is just one of the many ways Ossia is redefining wireless power with RF smart antenna technology.